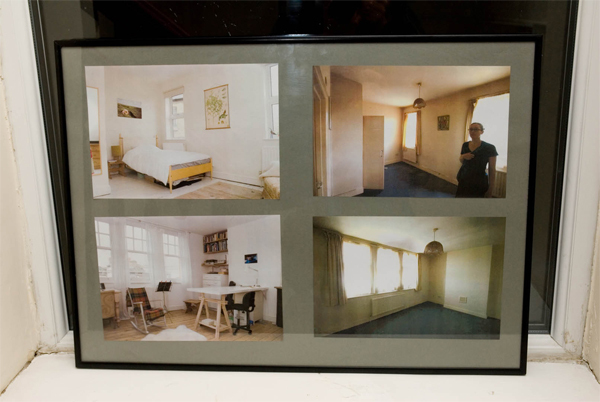 Named after St Mark’s Road in Notting Hill – the area where our first properties were located, and where many of us are still housed – this self-help initiative came about at a time when the only route to affordable housing available to single people in central London had been through squatting. In 1980, with the assistance of Notting Hill Housing Trust, a group of occupants facing eviction formally registered themselves as St Marks Shortlife Housing Co-operative. This move created the legal and financial framework necessary to engage with major housing associations and occupy void properties with a licence. Since then, hundreds of properties have passed through St Mark’s. Founder members have moved on and new members have joined up. Over the past thirty years, a bond has formed between St Mark’s and some of the biggest providers of social housing in London, such as Stadium Housing, Peabody and Kensington Housing Trust. This bond was, and still is, based on their faith in us, on our reliability, our willingness to promote good relations with neighbours and vacate properties when requested. St Marks Housing Co-op currently provides affordable housing for 30 members on low or irregular incomes in West London and parts of East London. We take on temporarily vacant properties from local housing providers, often in a state of disrepair, clean and decorate where necessary, and use them to house our members on a short life basis, for a minimum of six months and often for much longer. Among our number are artists, musicians, writers, film makers and people working for human rights and health service organisations. Prospective members are vetted and only those keen on participating in the running of the co-op are accepted. On acceptance, applicants become associate members, and are expected to attend monthly meetings, only becoming full members with voting rights once they are housed. This allows the newcomer an opportunity to demonstrate commitment and responsibility, and to become familiar with the daily workings and core values of the co-op. Monthly meetings, attended by all members, are used to take decisions regarding the running of the co-op. Specific roles are allocated by vote at our Annual General Meeting, according to a member’s skills and willingness to commit their time and energy. Accounts are monitored and audited annually. The ethos at St Mark’s is one of democracy, mutual help and self-reliance. We are a self-run non-profit organisation with no paid staff – the co-operative is run by the people it houses. Because our members know each other, we work more effectively as a group; we make our small size work to our advantage and have become known for our dynamism. This vacant property, taken on in 2009, is a new departure for St Mark’s in that it is a three-way collaboration with Stadium Housing Association and Westminster Short Life Housing Co-op. The property is a disused bank, formerly used by Stadium to house people with a variety of support needs, and had become run down and a magnet for local drug users. St Mark’s and Westminster Housing Co-ops came to an agreement with Stadium to take over the 14 flats above the bank, which are now divided equally between members of the two co-ops. We have worked together to transform the flats and communal spaces – as the photos show – and have established a safe and thriving community at 476. We have the support of the local police, good relations with local organisations, and are contributing to the effort to improve safety and community cohesion in the area. As single people without dependents, our members fall outside existing criteria for allocations of affordable housing. Over the years, however, a number of permanent allocations of properties have been offered to us by major housing associations, in particularly by Walterton and Elgin Community Housing. We now actively seek other large housing associations willing to offer us permanent allocations. We also welcome the prospect of forming new partnerships, and we are currently investigating the possibility of applying our skills to run locally funded refurbishment or self-build projects.